Note: Switching on equipment with your phone is not yet available for every account. If you’re interested in this feature, send us a message. … invite your members to sign up for the member portal. Once your members have created a user for your member portal, they can switch on equipment with their phone. 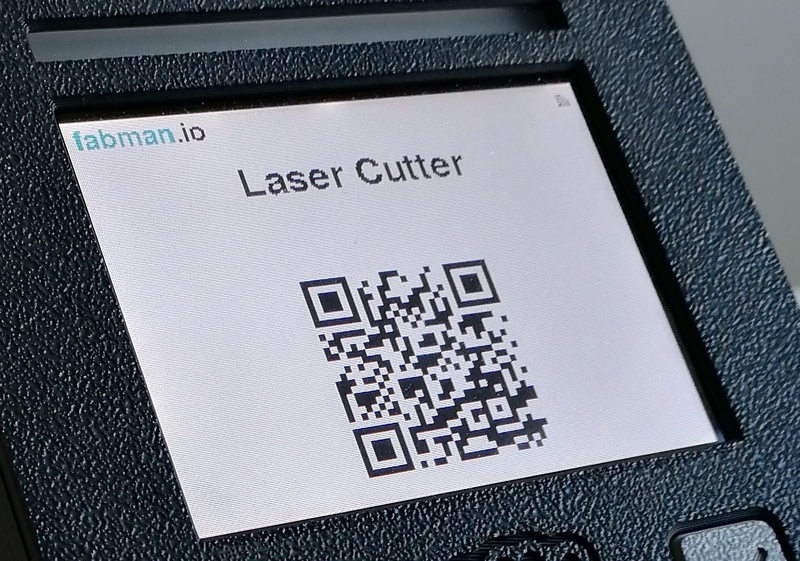 They can either use a QR scanner app on their phone or use the QR scanner we’ve built into the member portal. On iPhones and iPads you can simply use the built-in Camera app to scan QR codes. Some Android devices also have a built-in camera app that can scan QR codes, but there are also lots of (free) QR scanner apps in the Google Play store. Open your Camera or QR Scanner app and point your camera at the QR code shown on the bridge’s display. The code contains an URL that points to your member portal. Once your scanner has read the URL, you can open it in your phone’s web browser – usually by tapping on it. Sign in to the member portal using your email address and password. This is only necessary once. Tap on "Switch on" to switch on the equipment (or "Open door" or "Check in or out", depending on the type of equipment). You can only use one device at a time (eg., a phone or tablet) to switch on equipment. If you have used a different device in the past, you might have to confirm that you want to replace the old device. In that case, the previous device will be de-authorized and can’t switch on equipment until you swap devices again. Devices changes will be recorded and are visible to account admins to prevent abuse like members sharing their users. You might have to confirm that Fabman is allowed to access your phone’s camera. Point your camera at the QR code shown on the bridge’s display.